Electrification has been one of the main enablers of the progress of modern civilization, and electric power systems have enabled this remarkable development. These systems have evolved over many decades, attaining the highest standards of service and performance. We are now in the midst of unprecedented change to the methodology for the production of electricity and its delivery to users. This transition is driven by emerging social expectations, environmental standards, economics, and especially by the rapid rise of technology. These drivers are reshaping and reordering power systems. The speaker will trace the evolution of electric power systems and explore the outlook for the future of the sector. Colin Clark (IEEE S’75, M’78, SM’91) is Chief Technical Officer of Brookfield Renewable, where he provides global leadership of all engineering and technical aspects of the generation businesses of Brookfield. He was formerly Executive Vice President of Brookfield Renewable Power, Senior Vice-President, Operations of Brookfield Power (Brascan Power), and President & CEO of Great Lakes Power Limited. Mr. Clark is a graduate in Electrical Engineering from Queen’s University at Kingston, and a Licensed Professional Engineer in Ontario and British Columbia. He has more than 35 years of experience as an engineer and executive in all areas of electric power utilities operations and development. Mr. Clark has also had responsibility for the design, construction, and evaluation of many electric power generation, transmission, and distribution projects. Mr. Clark is a member of the Governing Council of the Standards Council of Canada, a member of the Canadian National Committee of the International Electrotechnical Commission, a Director, Vice-President, and Chair of the Governance Committee of the International Hydropower Association, a Founding Life Member, Director, and Past-Chair of the Board of Directors of the Canadian Hydropower Association, member and former Chair of the Generation Council and former Director of the Canadian Electricity Association, a founder and former Co-Chair of the Ontario Water Power Association, a former Director of the Association of Power Producers of Ontario, a Senior Member of the Institute of Electrical and Electronics Engineers (IEEE), and a member of many other industry associations and advisory bodies. He is the author or co-author of numerous professional papers, articles, presentations, and lectures. 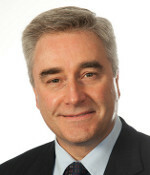 Mr. Clark was the recipient of the IEEE Canada R. H. Tanner Industry Leadership Medal for 2011, and in 2015 he was inducted as a Fellow of the Engineering Institute of Canada.